Adding A Name To The Face. – Wait, I Know This! You know the face but you might not know the name. In the 60’s and 70’s he was EVERYWHERE! If you’re an Andy Griffith fan then you know him well. The fine folks at the Mayberry Wiki lay out his more memorable roles quite nicely. 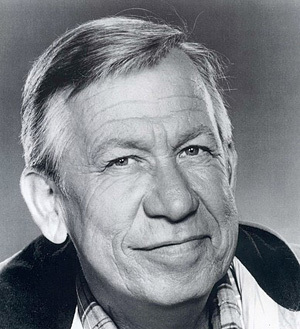 They say that Allan Melvin appeared in episodes of The Andy Griffith Show and Mayberry R.F.D. and played Sergeant Charlie Hacker on Gomer Pyle U.S.M.C. His other notable recurring TV roles were Corporal Steve Henshaw on “Sergeant Bilko”, Sam Franklin on “The Brady Bunch” and Barney Hefner on both “All in the Family” and “Archie Bunker’s Place”. He provided the cartoon voices of Sgt. Snorkle on “Beetle Bailey” and Officer Pupp on “Krazy Kat”, both for Paramount’s Famous Studios. He was Magilla Gorilla on Hanna-Barbera’s “The Magilla Gorilla Show” and Troggles on Disney’s “Adventures of the Gummi Bears”. His feature film appearances include With Six You Get Eggroll (directed by Howard Morris) and Pufnstuf (as the voice of H.R. Pufnstuf). He also played Al the Plumber in Liquid-Plumr drain cleaner commercials. No matter where you lived in the world of the 1960’s and 70’s classic TV, Allan Melvin was there.